If you’re joining us for the first time, we’re attempting to eat vegetarian Thai food for the entire month of July 2011 in order to raise money for charity. Follow us for everyday blog updates and read more about the cause here. Baan Suan Pi (บ้านสวนใผ่) is a house with a cluster of businesses, including a library, coffee shop and language schools. 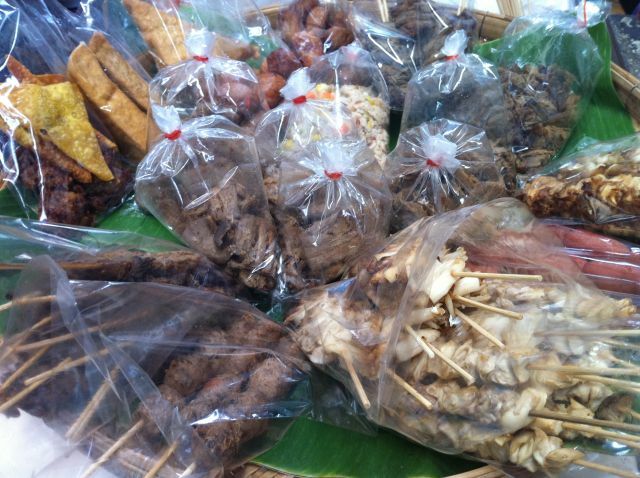 Most notably, they have a great vegetarian food court and health food shoppette on the ground floor of the house. The food is predominantly a large variety of Thai selections, it’s cheap (30-50 THB or less than $2), and the house is easy to reach. 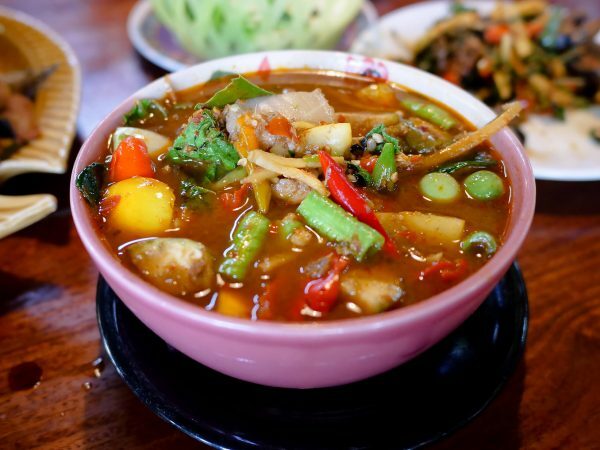 All of these factors make Baan Suan Pi the best vegetarian food court and one of the best meal options for vegetarians who want to eat Thai style. 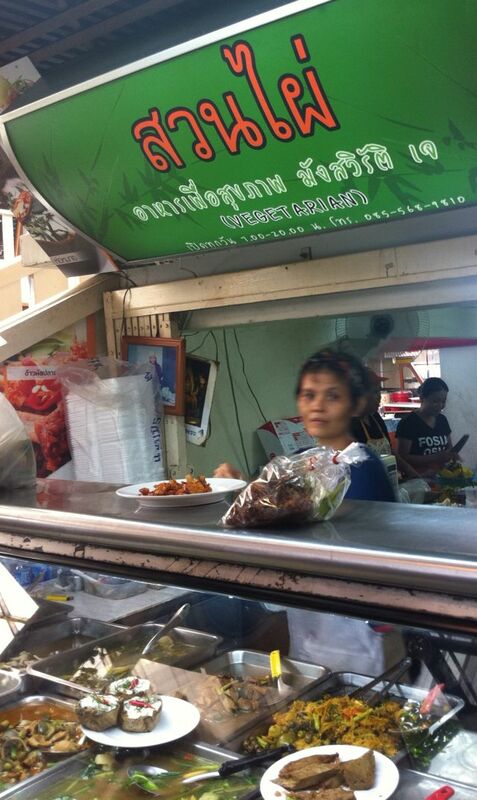 Vegetarian food, thai street food style! There’s the point and shoot style options (aka kao rod gaeng style ข้าวราดแกง) where you can just let your eyes choose what you’ll be eating and food made to order. Both of which usually come on top of great tasting brown or unpolished rice. 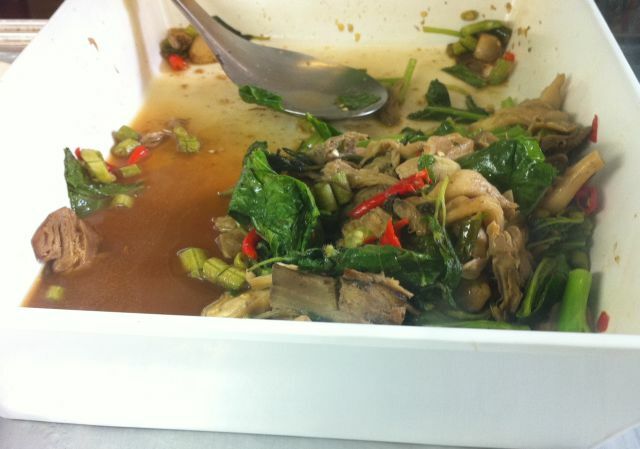 Since Baan Suan Pi is purely veg, you can try what you want without worrying about any sort of meat products being in the food. 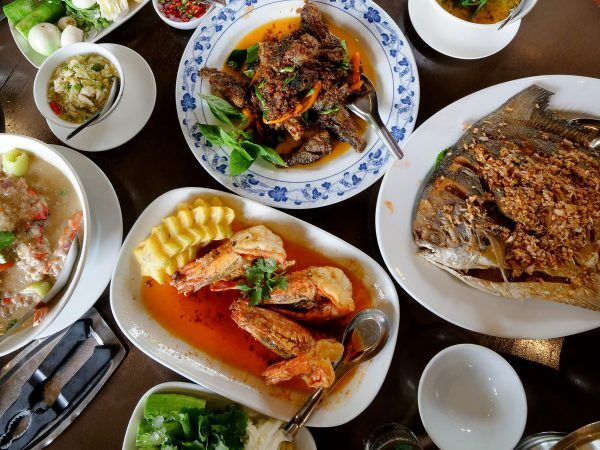 That includes ingredients like fish and oyster sauce, which is difficult to avoid on the street or in typical restaurants. 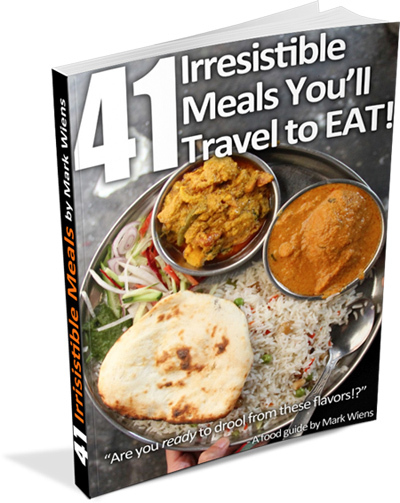 This is great for vegans, people with strict diets or for carnivores easily freaked out by funky street meat that sometimes appears in street food. Expect to see some dishes like the spicy Thai basil dish that you will recognize both in the ready to serve food and on made to order menu lists posted on the walls and above the stalls (Note: there are a few Japanese options, but the majority is Thai food). Your favorites have all been re-done with fake meat, mushrooms and tofu substitutes. Grilled mushrooms, a much less fatty version of grilled pork sticks so often sold on Bangkok streets. Here’s more examples of vegetarian versions of things commonly seen on the street. 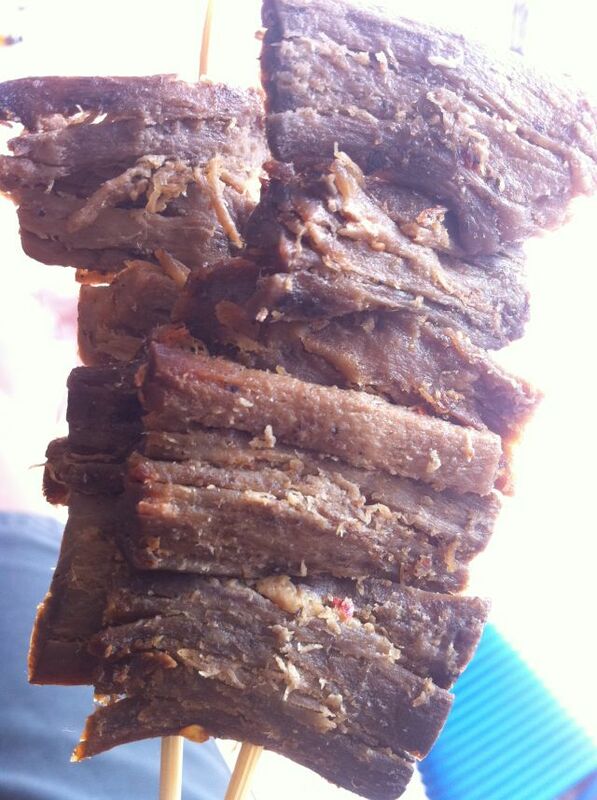 Even the mushroom version of the fatty, grilled pork sticks (หมูปิ้ง) people love. 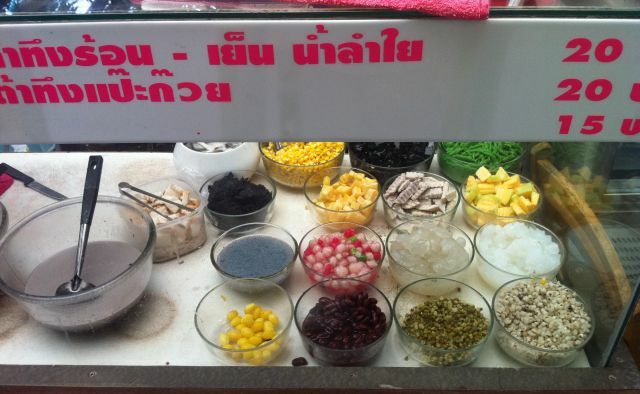 There’s thai desserts (including shaved ice that’s not pictured above), a great noodle stand, and a stall that has all types of fruit and vegetable juice on sale. Phew— convinced we like this place yet? We’ll be regulars here this month! Be aware that there’s a lot going on in this place, so people are often confused about the name. Baan Ari usually refers to the Buddhist library and I have also seen it referred to as Banana Family Park. Whatever you call it, this is by far the best food court for vegetarians (there are others and we hope to share some of them too). Remember they’re open from 7am-3pm, so don’t wait too late in the day to stop by. To get there go to BTS Ari and exit towards Soi Ari. On Ari Soi 1, a little more than halfway down the soi you will find Baan Suan Pi on the left hand side across from a restaurant called Tum Road. Unfortunately the food court is closed now. There is only one stall left. Hey Arne, thanks for the update, I haven’t been there in a while, sorry to hear that. Will try to get more news about it. 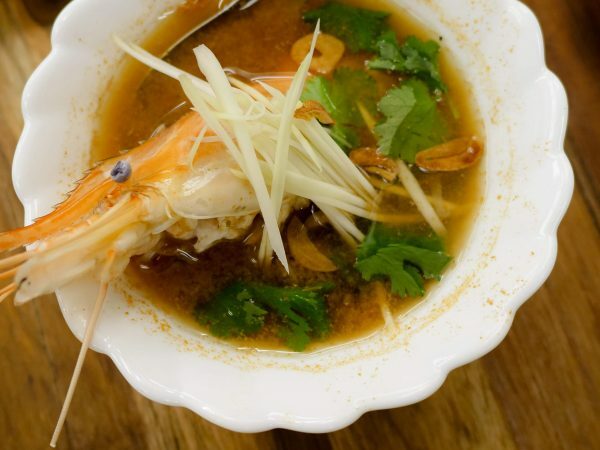 I have been looking up places to eat in Bangkok were they serve pure vegetarian food and I was really paranoid when I heard about vegetarian food being made using chicken stock and fish sauce! Now I can enjoy my trip without worrying what I put into my mouth. This is a great post, very helpful. Thank you. 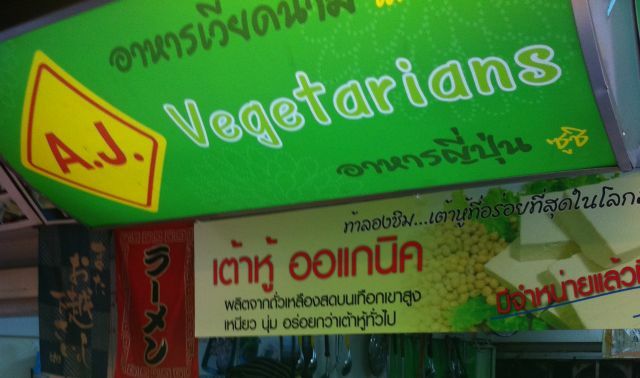 Hey Ankita, glad you found this article, this is one of the best vegetarian spots in Bangkok, enjoy! um no they’re mushrooms. the stem part.